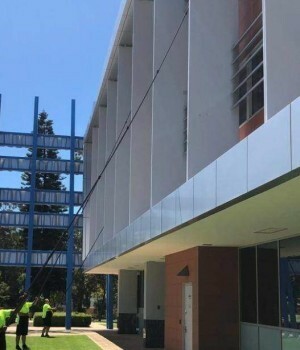 Our Perth Window Cleaners can be contacted for everything from homes to multi-level offices; Servicing commercial and residential properties in Perth WA. 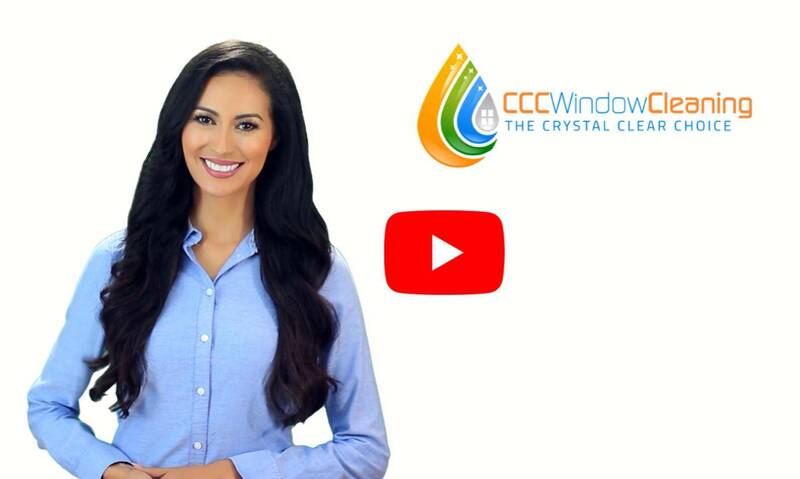 With decades of experience in the window cleaning industry, CCC Window Cleaning is the Crystal Clear Choice when it comes to finding the right window cleaner for the job. Call our office on 1300 728 772 or feel free to fill out one of our online quote forms. We look forward to hearing from you! 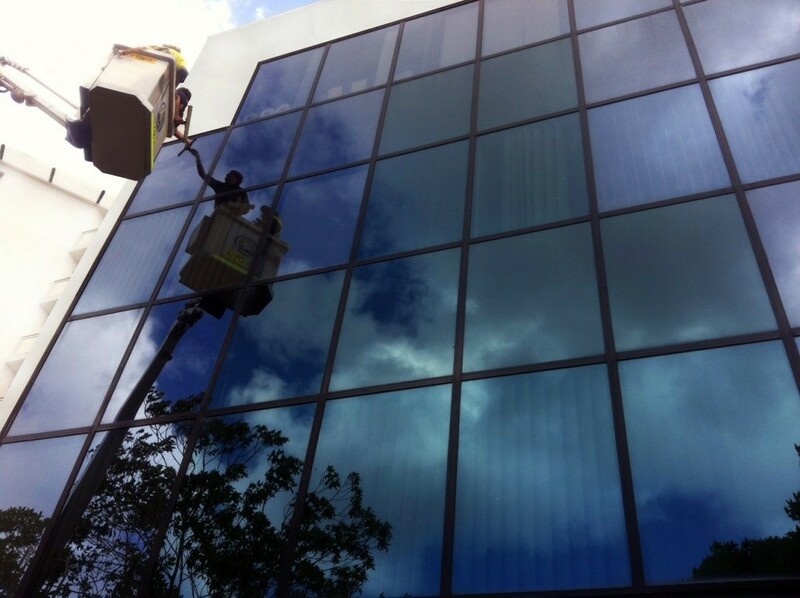 Our commercial window cleaners in Perth are available for all commercial locations from shops to offices. Window Cleaning Perth northern & southern suburbs. Call now! 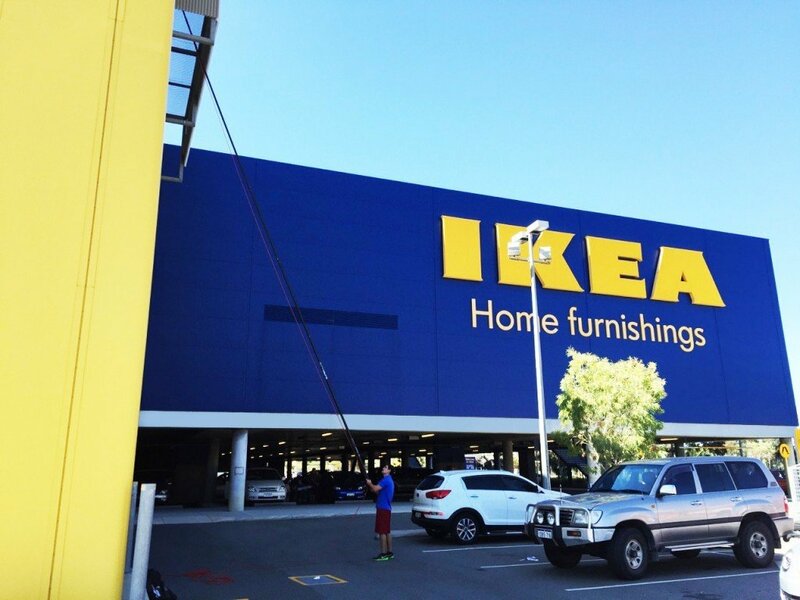 Our Perth window cleaners can be contacted for individual shops & multi-level shopping complexes; Servicing retail properties in Perth WA. Fremantle to Joondalup & beyond. Our services include domestic and residential window cleaning for hotels, apartments, & houses. Homes to high-rises. Perth CBD and Perth Metro areas. Fully insured. "happy to work around trading hours through the night - results achieved were outstanding. Areas left clean and as found... Looking forward to a long working relationship"
"I engaged CCC Window Cleaning to clean our windows at Westcoast BMW... inside and out. They made a fantastic job of the windows and were very reasonable in price too." "outstanding window cleaning services... we appreciate the excellent service - accommodating us with our requests the past years including a number of call outs." "We were recommended to try CCC Window Cleaning a few years ago and have never looked back. Jared and the team have a big task on their hands with our large offices and always do a great job. For service and price they are spot on." "A big THANK YOU! from Perth Health to Jared and his team at CCC Window Cleaning for the great job of cleaning our windows inside and out, which was not a simple task. Very friendly, efficient and well priced service that we can highly recommend." "The team at CCC Window Cleaning Perth are awesome. Selling a house is quite a stressful time, the staff were amazing and my windows and tracks are sparkling clean. The price was amazing too. Can't thank you enough." "Excellent customer service with my initial enquiry responded to quickly with an itemised quote. Brandon & John did a fantastic job on our windows, even cleaning windows I didn’t think possible to access... we will personally be using them on a permanent basis." "We have used CCC for over 5 years – the cleaners are courteous, super-efficient and always ensure everything is left as it should be. 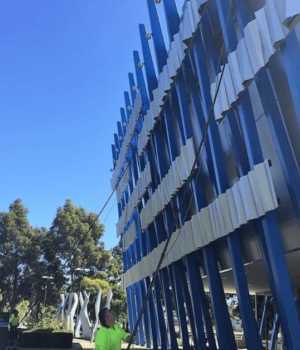 IN FACT our windows are so clean that we often experience birds attempting to enter….. (no joke)"
CCC Window Cleaning provides clients with window cleaning services, building wash-downs; solar panel and sign cleaning – servicing Perth WA. The company utilizes advances in low-rise reach and wash technology to ensure enhanced results while dramatically reducing access and safety issues. The water-fed systems’ filtration process removes anions and cations from the water resulting in film-less, smear-free surfaces. The process is beneficial for windows, louvers, facades, signs, solar panels, and more. Interested individuals can request a no obligation quick quote online or a free on-site inspection. The company is a member of the Australian Window Cleaning Federation and are the only Perth window cleaners approved by Trusted Cleaner. 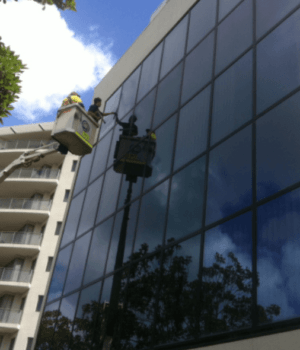 CCC’s residential and commercial window cleaners provide services for hotels, homes, shopping centers, apartments, offices, schools, hospitals, and more. Commercial – Our first impression of a place of business is based on its appearance. Convey the right message, namely, that you offer top quality services or products. 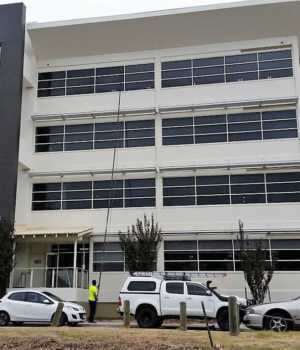 Book your commercial Perth window cleaner today. Our local WA team will clean your windows to your specifications or we’ll repeat the work free of charge. All of Perth metro – Joondalup to Fremantle and beyond. No dirt. No streaks. 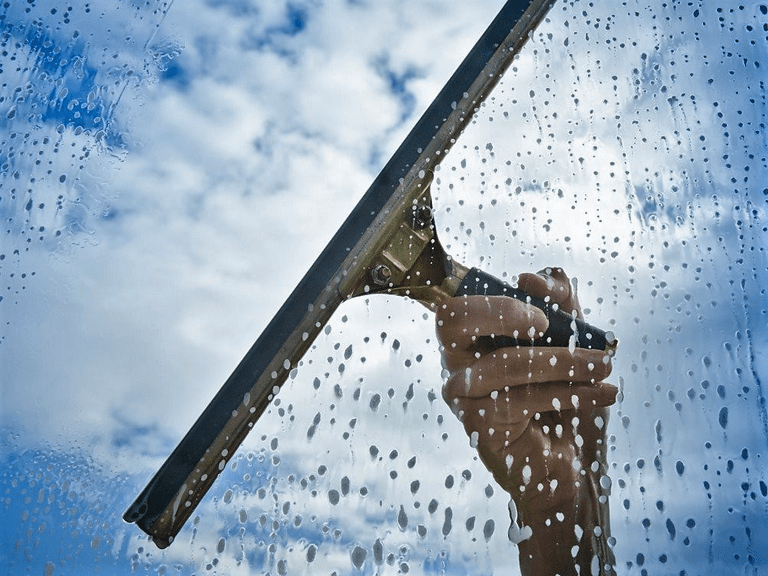 With a wave of a squeegee, our window cleaning magicians will make your windows practically disappear. Dirt? Paint? Graffiti? Stains? Don’t replace it – Restore it! We care about our customers and our goal is 100% customer satisfaction 100% of the time. Every care is taken on the job with a safety-first approach. 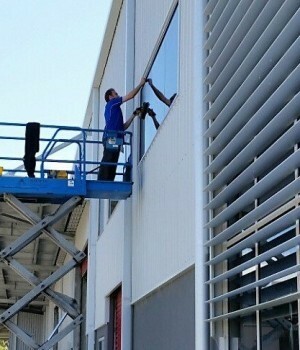 The window cleaning that CCC provides is a far cry from the ‘man on a ladder’. We employ reach and clean systems up to 6 storeys. Retail – For your business to prosper, it needs clients and customers. Whether small or large, a determining factor as to whether interested parties will venture into your shop or pass it by is the aesthetic appeal of your shop front. Clean shop front windows show you are committed to high quality service, and mean your business is important to you as are your customers. We here at CCC are committed to helping you represent your business properly by offering professional retail shop front window cleaning. 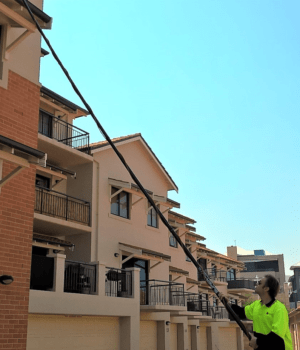 The majority of our work is for repeat customers and we provide window cleaning services all over Perth Western Australia, including Perth City and Neighborhood areas – Northern and southern suburbs. Our experience, care, and use of some of the latest and most Eco-friendly equipment are sure to bring you top quality workmanship to keep your property looking its best. Residential – Looking for a professional domestic or residential window cleaner in Perth? Our residential team use their expertise and advanced technologies and methods to do the job more efficiently and avoid expensive money and time-wasting practices by continually keeping pace with the latest techniques. Fed up with dirty windows? From houses to multi-level apartments – Go local with CCC. Our domestic and residential cleaners service Perth, WA. 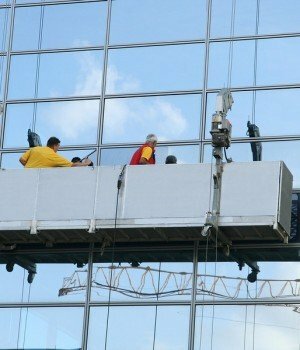 We always strive to use a combination of the best balance of techniques and safe work platforms to provide your building and windows with the care they deserve. Contact the experts in the trade today! 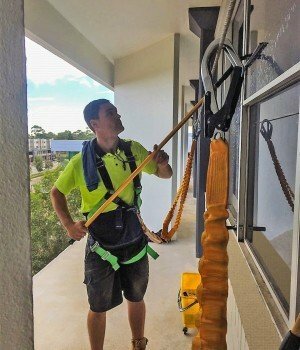 Tired of sub-standard window cleaning services?